Janie and Jack favors matching ensembles. Summer hats can encompass a wide range of styles from broad-rimmed sun hats to boating hats, baseball caps and even beanies. The top of the head will often require special protection during the summer months. This is particularly true for toddlers and small children whose hair is still fine and growing in. Hats block the sun from these areas which cannot be easily treated with sunblock. Hence, summer hats are a ubiquitous find during the spring/summer shopping seasons, but what really serves to distinguish one hat from another? Theoretically, a generic children's hat can offer all the functional features of a more expensive designer item, but designer hats provide aesthetic appeal. Buying a designer item doesn't always guarantee a higher-quality product. Nor does the term "designer" necessitate a bold and recognizable logo upon the line's merchandise. However, the hope in regards to designer children's summer hats is that these higher prices are justified by better craftsmanship, quality materials and, at the very least, a more extraordinary design. There are a few designers that top the charts when it comes to children's hats. Though most of these designers do not create styles specifically for the summer months, some of these products are multifunctional during seasonal changes and may offer special features that make the designer noteworthy. When it comes to seasonal hats, Janie and Jack remains dominant in the realm of children's fashion. This somewhat upscale retailer is famous for its matching hat-to-outfit themes. However, this doesn't mean that parents need purchase and entire matching ensemble just to enjoy a hat. Such hats can be purchased separately from their intended repertoires and these functional adorable pieces are true show stoppers. 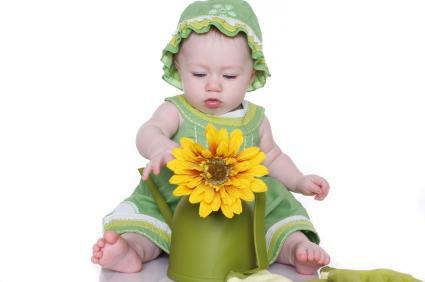 Your summer selection of girls' hats is usually defined by a colorful array of sun hats, whereas boys' styles range from classic bucket styles to golf and baseball caps. The preppy upscale look of Janie and Jack's designs serves to distinguish this retailer from other children's designers. Janie and Jack offers excellent sales on their online merchandise, so check their store website frequently for discounts. Chasing Fireflies is another unique and upscale children's designer that takes fashion from a completely different angle than the functional/relaxed appeal of Milk Factory and the put-together/classic looks of Janie and Jack. Chasing Fireflies is mystical, airy, trendy and particularly avant garde when it comes to boys fashion. This designer manufactures both boys' and girls' hats for every season, but you can expect extraordinary items for the summer months. Whether it is a Victorian theme for the girls and a robot trend for the boys, Chasing Fireflies will keep hat concepts fresh and interesting and delightfully enviable. Summer hats may see their fair share of shorelines and poolsides, activities which may necessitate post-adventure cleanings. Though many items can be dusted off or even tossed into the washing machine, be aware that rougher sorts of launderings can make a hat lose its shape. Ribbons and bows on sun hats will need to be cleaned but are often unsuitable for even a hand wash. Read the care label on the inside of each designer summer hat and try to follow these instructions. There is no sense spending thirty dollars on a hat that will lose its form after a single gentle cycle. In such cases a dry cleaner may be necessary to secure the item's integrity.